You are currently browsing the Archaeofacts.com archives of Musings for the day Friday, May 19th, 2017. 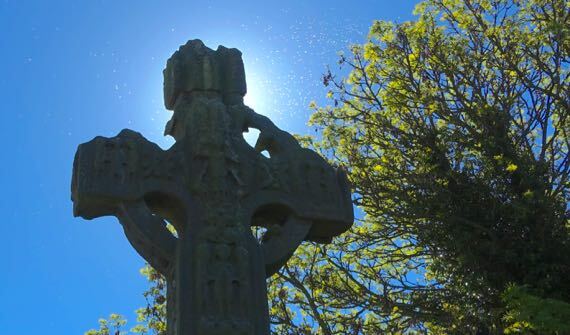 I thought this was our “last” high cross of the trip, and then we saw a replica in a museum. Does that count? 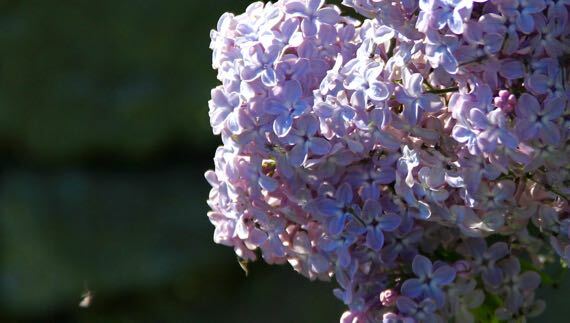 Also at Ardboe (no ruins of the monastery that was here), we found grave monument setters at work, and this lilac. Can you see the white spots in the first photo? And a couple of flies in this picture? Many bugs…a hatch. They weren’t house flies. Still annoying, however. 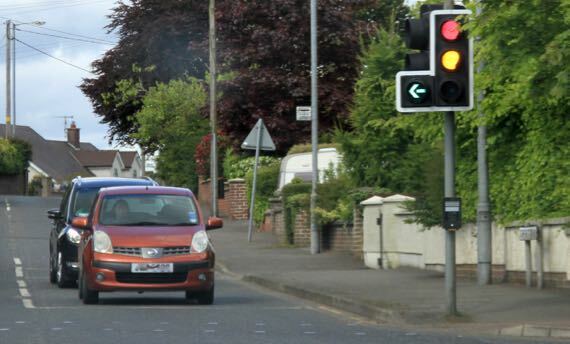 Haven’t noticed L-shaped stoplights before…. Strange that all these sheep turned their tails toward us—and they have tails. Lots of that here, but plenty are docked. 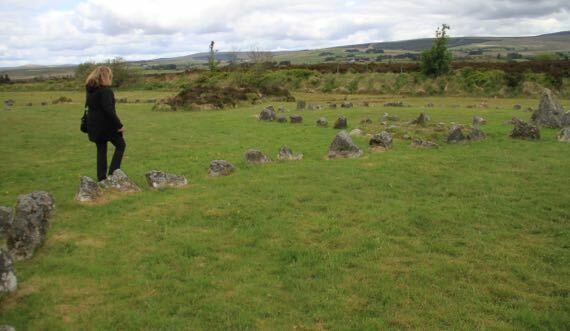 Last stone circles of the trip. These are the Beaghmore group. JCB and the drone captured some fine shots. 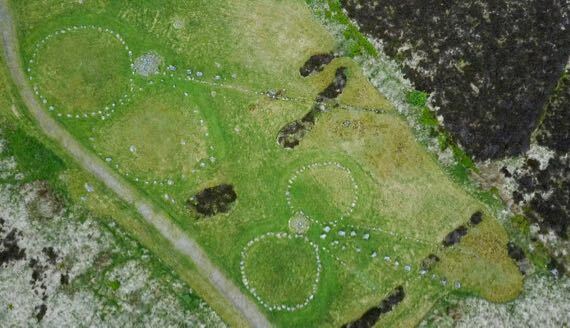 This is just part of the area of circles, alignments, cairns, etc. Further, this valley is peppered with stone features. And without a doubt more are undiscovered beneath the peat. The peat is covered by brown and grey vegetation in the drone photo. On to the last ring fort occupied into the 1600s. This is a famous spot, as one of the last Gaelic kings (sub-king I’d say) was inaugurated here in 1593; his name was Aodh Mór Ó Néill. Aodh is Hugh in English. Mór means great. Aodh would have called this place Tulach Óc; today it’s Tullyhogue. Someone lived here in a wooden building into the 1600s. This is the entrance and the original entrance probably required a Z-shaped path between wooden palisades. 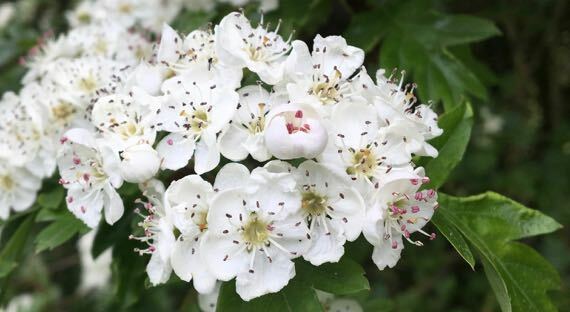 We’ve been seeing these blooming hawthorns everywhere—down hedgerows and here at Tulach Óc. The scent is strong. In Belfast! 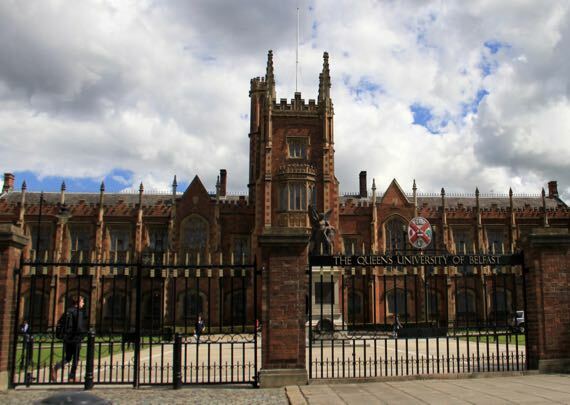 Here’s the formal façade of Queens University Belfast. 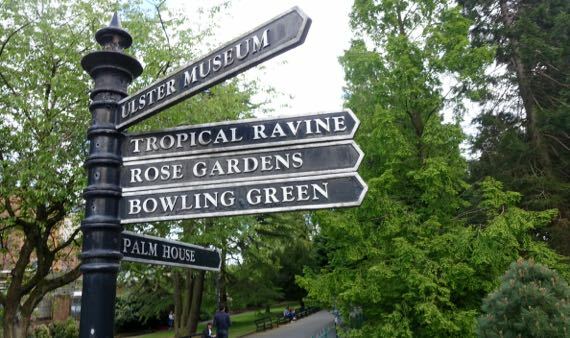 Next to the core buildings of the Univ is the Ulster Botanic Gardens. 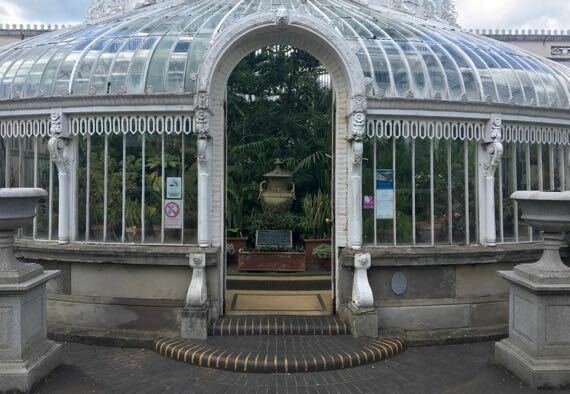 This is the door to the Palm House. The plants were ho-hum. There was a HOT room, that made my chest feel compressed. 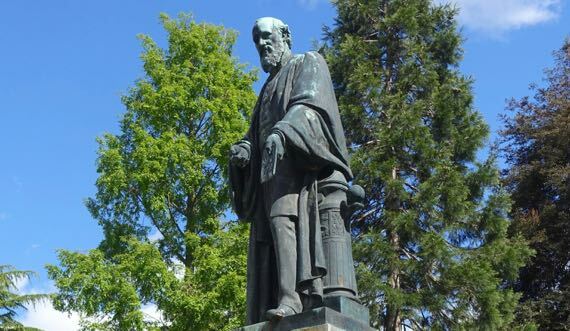 A metal Lord Kelvin stands inside the main entrance to the BotGarden. 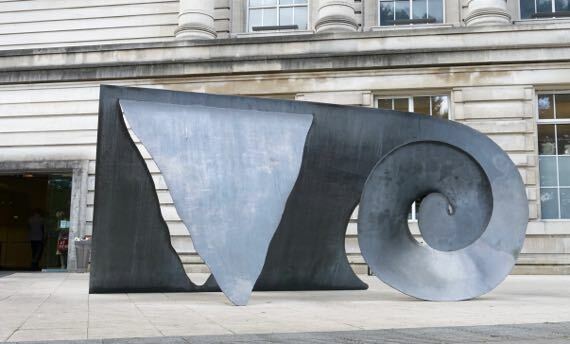 This is a sculpture outside the Ulster Museum. Just periodic overcast, no sprinkles. 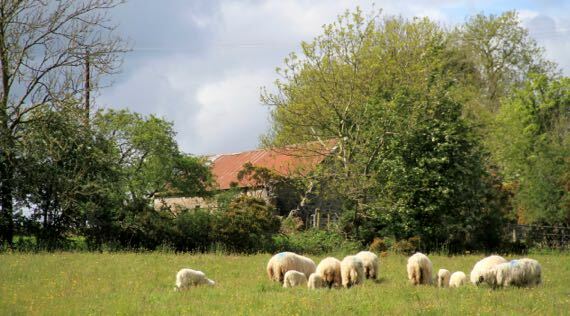 Is this really Ireland?